The beautiful city of Barcelona had been on my list of places to visit for years and it did not disappoint! It was was favorite city I visited on my trip to Spain (also went to Madrid, Segovia, and Valencia). Barcelona is filled with stunning architecture, amazing food, gorgeous fashion, modern transportation, friendly people, romance, and incredible art! I spent 3 nights and four days here and only got a glimpse of what Barcelona has to offer but I got a great sense of the culture. 1. Sagrada Família- WOW just wow! You know when you are researching places, there are always reviews/ pictures where you go “wow that's pretty” and when you actually go to visit the place, the images do it justice? 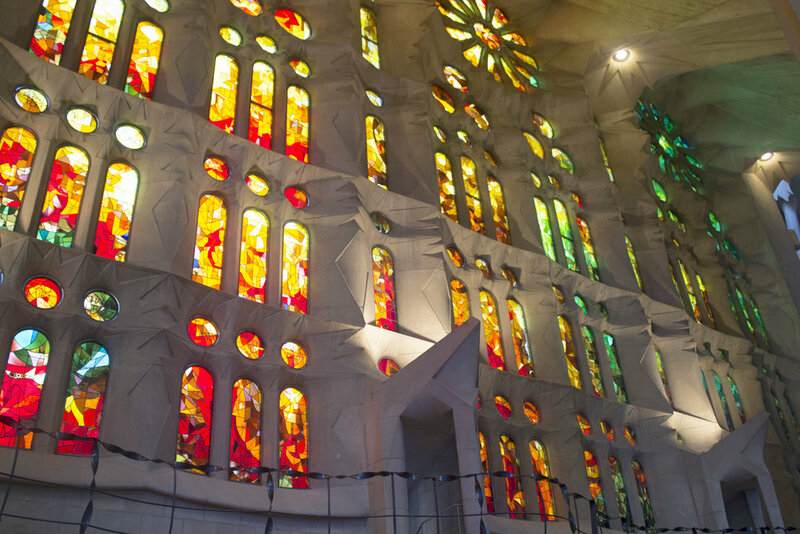 Well this Sagrada Família is beyond just pretty. My breath was literally taken away. Pictures can't show it's true beauty. 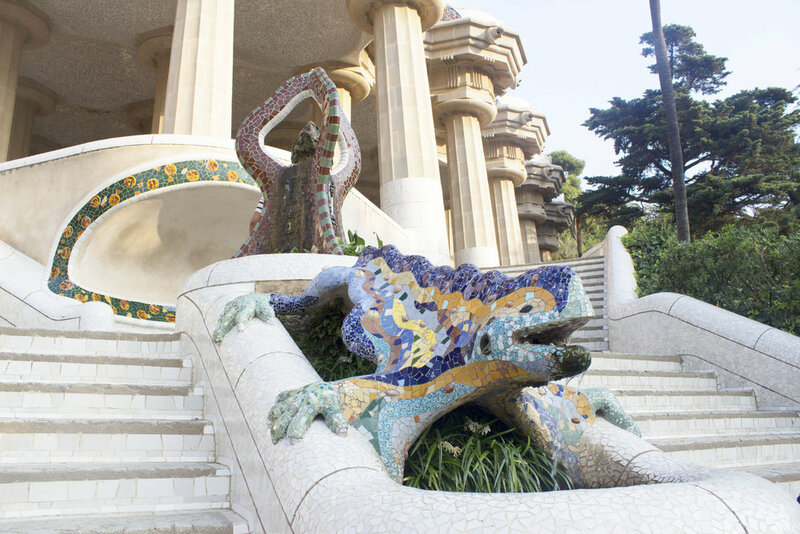 I didn't know where to look first, every inch of this Antoni Gaudí's masterpiece is stunning! I recommend you go visit first thing in the morning, 9am, to beat the crowds. That's what I did and there was already a line. It costs €15 for general admission. Make sure to get your ticks in advance online here! 2. Parc Güell- I highly recommend you go at 8am before the crowds come or even worse the tourist groups! It cost €8 and make sure to grab tickets online before hand here. I just got the general admission and felt that was enough. Definitely go! Its worth spending some time there. It's kind of a steep walk but you get great views and there are so many mosaics!! There are also 2 small Gaudí buildings there that are so different! Make sure your camera is charged because you will want to take a hundred pictures. 3. Museo Picasso de Barcelonage- A whole museum devoted to the famous artist Picasso is a must. The tickets are roughly €14 and are easily accessible on site. Make sure to ask for a discount if you are under 25 years old. The museum was filled with his first original works. It was a side of Picasso I had not seen before. 4. Mercat de la Boqueria- The famous fresh market place is a must go to! Buy some fresh pastries, jamon (ham), and tapas. It is a bit overpriced but definitely worth experiencing! The colors are rich and the selection is rare. 5. Las Rambla - Walk down the famous street. It is definitely a tourist trap but you have to experience it. I loved looking at the beautiful architecture on this street. 6. Make sure you go see a flamenco show! The traditional dance of Spain is one of a kind and is so beautiful. I went to a place called Tarantos in Plaza Real. Advance ticket purchase wasn't necessary. The show was about 45 minutes and cost roughly 15 euros. The plaza itself is beautiful, filled with great restaurants and nightlife so make sure you spend a little time there. 7. Go see all the beautiful Gaudi work! Caso Balto, Casa Calvet, and Casa Mila. All of the architecture work is gorgeous and like no other in the world. 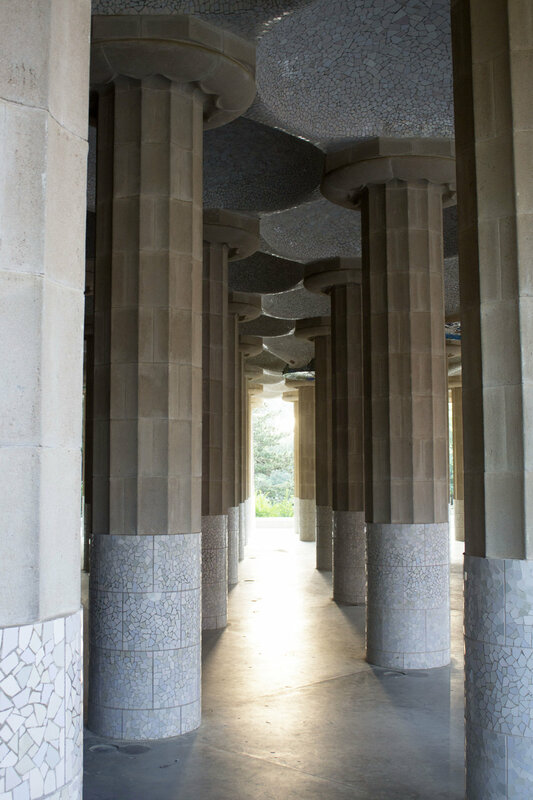 This is one of the reasons I went to visit Barcelona and each building was more beautiful than the next. All works are easy accessible and are not necessary to go into. It is solely up to you. 8. Check out the Cathedral in Barcelona. Wow! It’s beautiful and huge! The cravings and intricate designs are stunning. I didn't go in but I'm sure it's even more beautiful inside. 9. Eat at some of my favorite places. 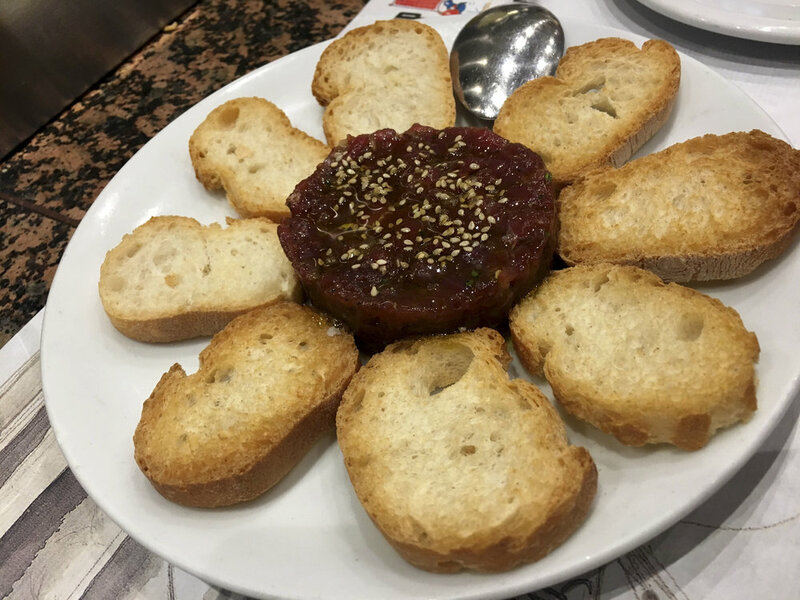 Tapas 24- great fresh meats and seafood for small bites tapa style. This is a faster pace restaurant with a cool young vibe. Bod de B is a great fast food sandwich shop that is cheap! It was a great quick bite that I highly recommend. Cal Pep is just omg good! We waited over and hour and it was worth every bite! This place doesn’t have a menu so you just tell the waiter what you like and they bring out a few dishes tapas style. My favorite was the sausage and beans but everything was great! 10. Shop! Walk down Passage de Gracia where you will find all the high end designers. The street itself is beautiful, wide, and clean. You will also find a million Zara, Berskha, and Mango stores.